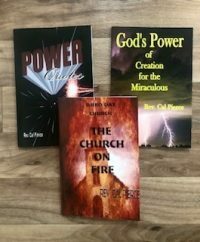 These three books will set your spirit on fire and get you launched into this new season of the awakening of the Bride. It is time for His Bride, the Church, to be fully engaged in all that He is doing to usher in the biggest harvest the world has ever seen. Get equipped! Get Ready! The time is NOW!